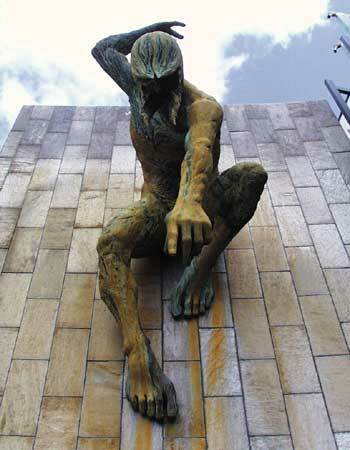 The statue of River God Tyne, Newcastle Civic Centre. Location: Civic Centre, Newcastle. Materials: Bronze.